Gesture navigation is considered by some to be an important innovation in smartphone UX, not least because it removes the nav bar and allows for more content on the display. It's not easy to get it right, but Apple has done a pretty good job of it and Android OEMs like OnePlus have also had a good go (let's not waste our time discussing Google's Pixel abomination). Samsung's recently announced Galaxy A7 offers another new take on gesture nav, and it actually seems pretty good. 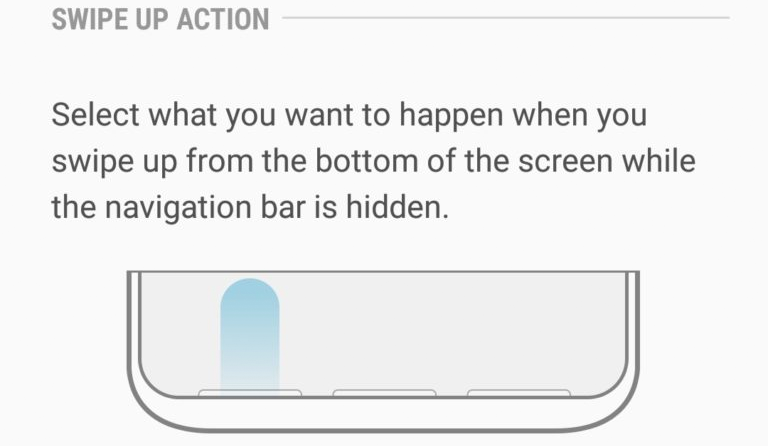 Previous Galaxy devices from the company have included an option to hide the nav bar and show just a little dot for expanding it out again, but this new implementation hides it completely and uses swipes instead. Sammobile spotted the new option, whereby you can swipe up from the bottom in one of three areas to go Home, Back, or to Recents. Since this is Samsung we're talking about, Back is on the right and Recents is on the left (although this can be edited). So, swipe up from the bottom in the middle and you go home, swipe up from the bottom on the right and you go back (and so on). It's a pretty simple, elegant solution, although you might wonder how easy it is to miss those targets and perform the wrong action. Thankfully, 'Gesture hints' offers subtle on-screen pointers as to where and how big these targets are, making it easier to learn the ropes. You could just as well leave them on indefinitely and you're still getting much more screen real estate with fewer distractions. Without trying it out in person, it's hard to say for certain how well this works, but it definitely shows promise. I like that it doesn't complicate matters by using an entirely different layout — the three options long-time Android users know and love are still there, but gestures are used to activate them. Swiping up from the bottom has also worked well for Apple, so there's no reason it can't work for Samsung, too. Edit: This solution was already previewed as part of Samsung Experience 10 with Android 9 Pie, so you should be able to try it out on your S9 or Note9 soon.